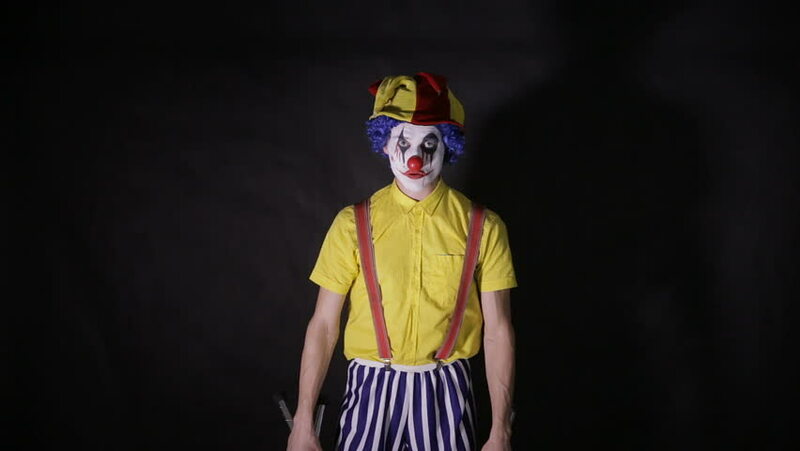 hd00:14Scary mad Juggler clown using juggling pins. Terrible horror clown. hd00:06A crazy clown plays with an axe.